One of my blogger buddies who I now get to call a great friend started this a while ago, but it didn’t really take off. I would really love it to take off here, but we will see. You create a post (or instagram pic) to show us the same thing of yours. The first post I decided to show you my “spot” in the living room. 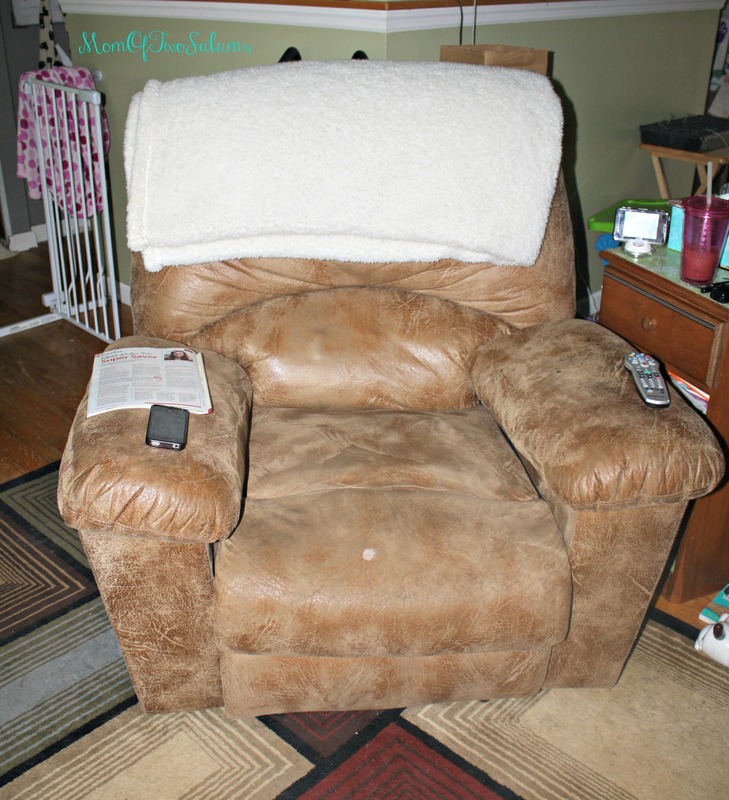 We all have a chair that we normally sit in, mine happens to be a recliner and I love it. It is a massage chair, has a cup holder and is a cooler! Yes that is paint on my chair. 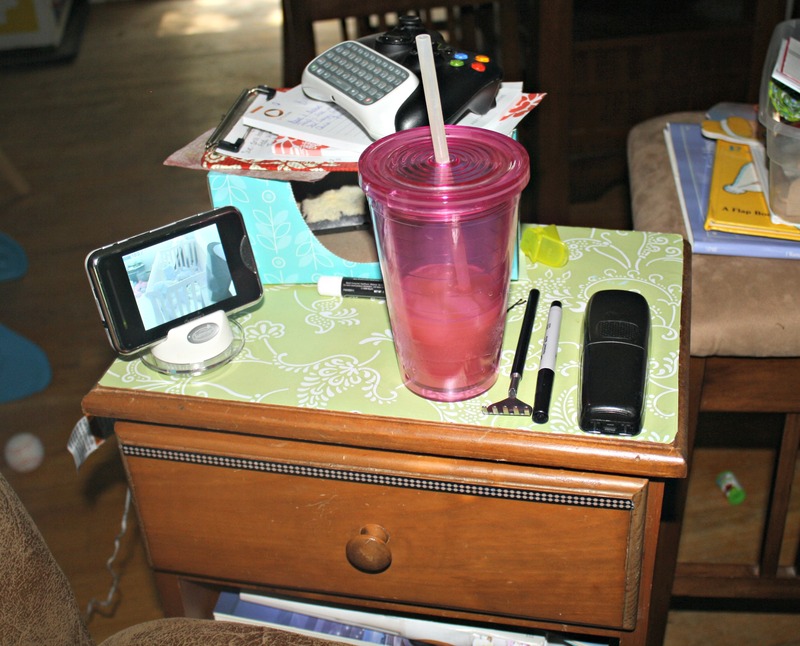 I have a TV tray that I use to do my crafts on if I am not at the dining room table. I always have my cell phone, a remote and usually a magazine to read. The blanket on top is a must because the house is normally so cold! The other part of my spot is the side table that I use. It has a spot for all my magazines on the bottom and a drawer on top. I have my chapstick, hand sanitizer, mini scissors, pens and a pad in there. OK OK and a bunch of crap. On top I normally have a drink, a tissue box, the kids monitor and the Xbox controller. So now its your turn. Show me your “spot” and link up in the comments below! I will feature a post in two weeks once all entries are in so we can easily view the posts. Don’t let me down! Take a pic and put a post together! Awesome! I love that its your bed. I wish I spent more time in mine!